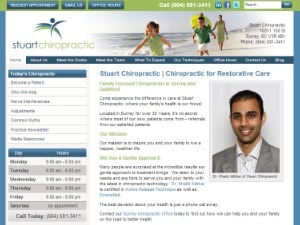 Dr. Mike Rumpel is the leading chiropractor offering a comprehensive approach to pain relief and wellness. Call us today to schedule an appointment. 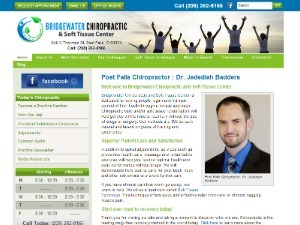 Dr. Jedediah Badders is dedicated to helping people regain and maintain control of their health through a holistic approach. Chiropractic care and/or soft tissue rehabilitation will help get you on the road to recovery naturally. We produce high levels of patient satisfaction by explaining every procedure in advance. Begin by visiting our website and learn what you can expect on your first visit with us. 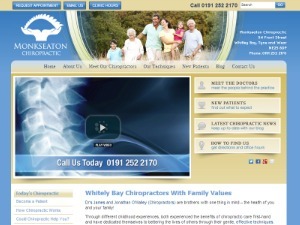 Chiropractors Dr’s James and Jonathan O’Malley can set you straight, improving your quality of life with their effective yet gentle techniques. Discover the natural way to good health – phone today.